Okinawa is Japan's tropical paradise, located farthest south in the country. 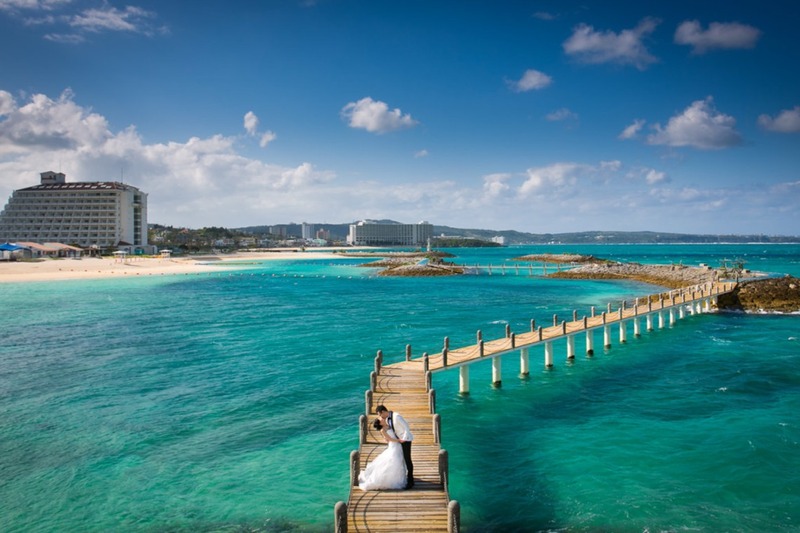 If you're looking to tie the knot abroad in Japan, or perhaps find the best place for honeymoon, Okinawa is your best bet! It has all the qualities of the ideal resort location: clear blue skies, stunning emerald oceans, and luxurious chapels perfect for destination weddings in Japan. And the beaches are perfect for pre wedding photo shoots. If you choose your location carefully, you can have a whole beautiful beach to yourself! And let's not forget-- Okinawa has beautiful kimono available for rental too. 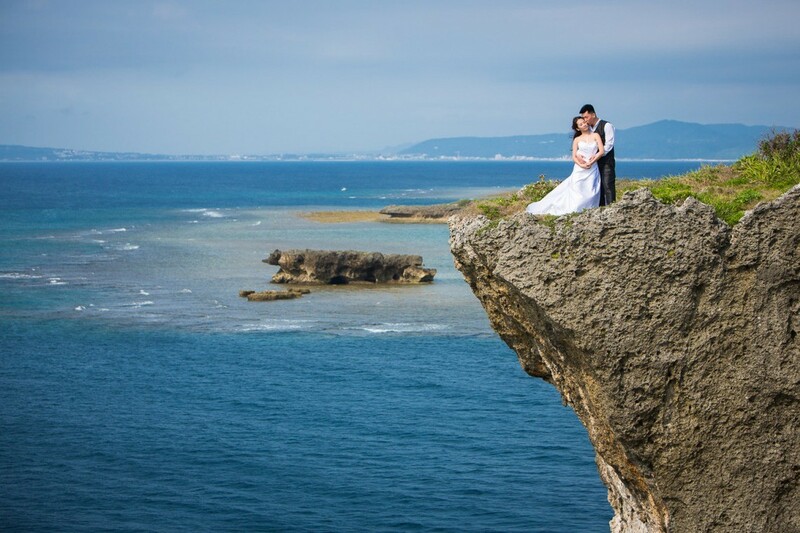 For that romantic beach photo shoot, check out Okinawa! With an endless amount of beaches, and many being ranked as having the clearest waters, Okinawa provides a perfect place for a photo shoot in paradise. If you choose carefully, you can have an entire location to yourself for a private moment with you and your loved one. Known as having incredibly crystal clear waters, it's been ranked 'AA' (the highest rank) for its' quality of water by the Ministry of the Environment in 2014. Aside from its crystal waters, the famed beach is also known for having a colorful sunset. This beautiful beach looks almost artificial even in real life! 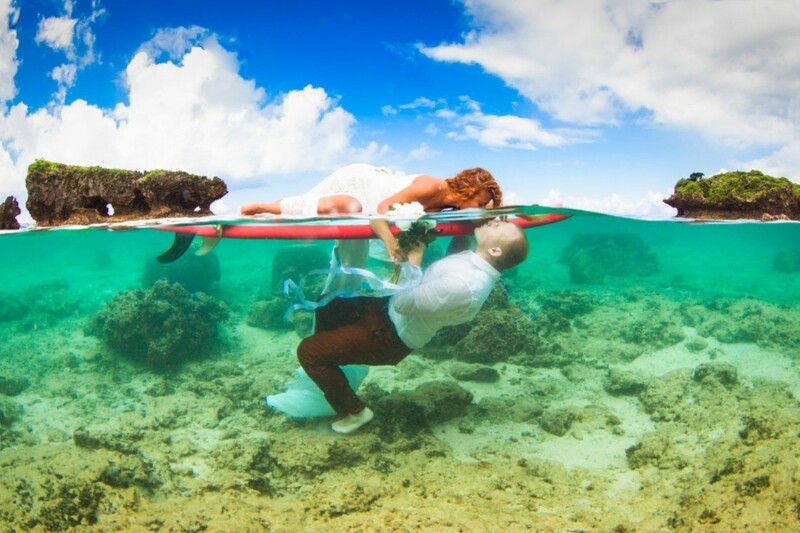 Also known to be ranked for its high quality of waters, couples can take some amazing photos at this popular spot! Rich with nature and colorful plants, the Southest Botanical Gardens in Okinawa is a popular spot for tourists and locals alike. They spot is home to many picnics, family outings, even weddings at all times of the year. 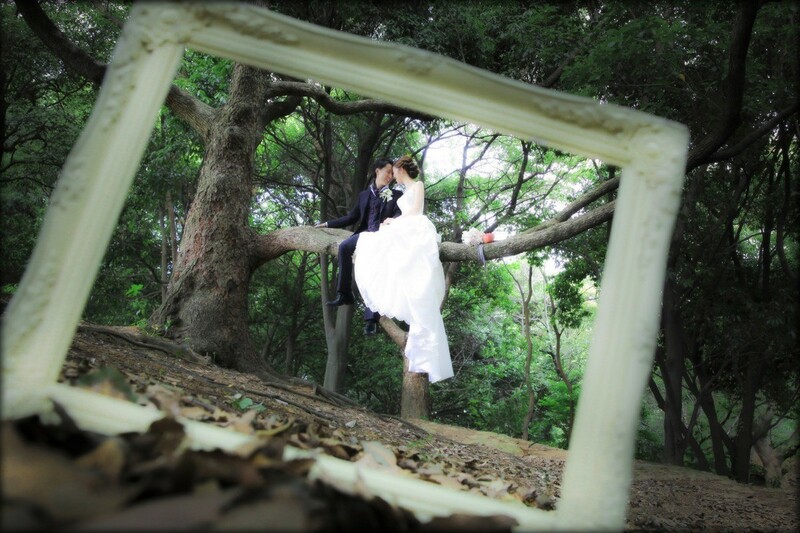 With many paths around the area, there are many photo spots to be found for couples. Either in the daytime or at sunset, this is a highly recommended photo location! For bride and grooms planning a destination wedding, there are many of luxury venues to choose from! Okinawa is wonderful for any attire: casual, wedding gowns, and kimonos. 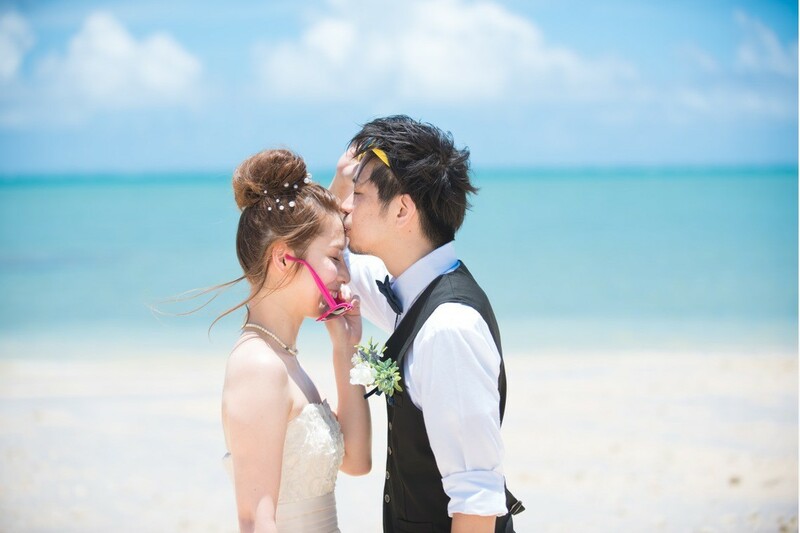 Many couples take beach pictures at Okinawa in their wedding gowns, which gives a dramatic accent to your Okinawa pics. Tuxedo Rental and Wedding Dress rentals are available, and available in photoshoot packages. Don't forget to consider a kimono photo shoot in Okinawa! Because it is one of the four major islands in Japan, it has kimonos for rental. It even has traditional Okinawan dress that is unique to that region! Our photographers in Okinawa have access to bridal salons and kimono shops where you can hire a kimono. Many have access to hair and makeup as well, and include it in their packages. Okinawa is a tropical island with warm weathers-- around 22 degrees Celsius on average year-round. Cherry Blossom season in Okinawa is usually from mid-January to mid-February. It can get be a little chilly during these months, so make sure you dress warm! For the perfect summer vacation, July to September are the perfect months! Not too hot, yet quite sunny. However, watch out for typhoon season and check the weather forecast daily. Autumn Leaves aren’t very prominent in Okinawa, so you might want to try somewhere else in Japan.